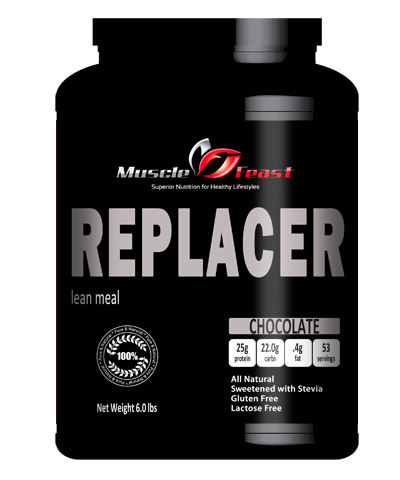 There are many meal replacement products on the market. The majority of these products use a combination of protein powder and maltodextrin as the primary ingredients. Our product uses a special blend of protein powders; micellar casein and whey isolate to ensure a steady flow of protein into the body for several hours. 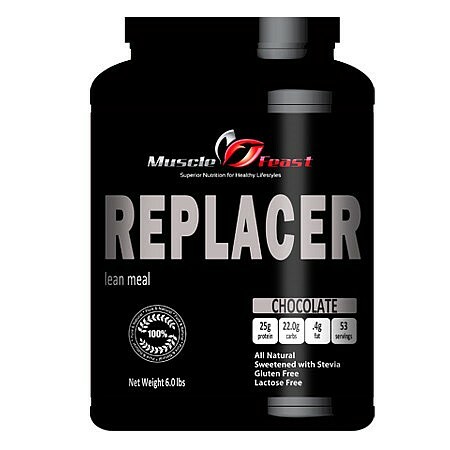 When you look at a meal replacement product, the type of protein is very critical. Many companies use inferior proteins like whey concentrate, soy, calcium caseinate and sodium casenaite. The proteins we use are the highest quality proteins available to ensure you get the most nutritional benefit from this product. Our product also contains a small amount of maltodextrin as a source of complex carbohydrates to fuel the body and keep your energy levels up. 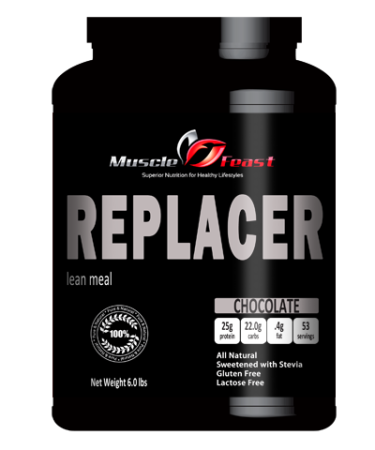 Muscle Feast’s Lean Meal Replacer is formulated to include proteins your body needs to maintain muscle, with fewer calories to optimize fat burning while supporting metabolic rate. •Only .2 grams of Fat! Recommended Dosage: Take 1 to 2 scoops no more than 2 times per day. Supplement this product with a multivitamin. Try taking our unflavored version with 6 ounces of non-fat milk and one scoop of NesQuik for flavoring. Or try mixing with a zero calorie Crystal-Lite product or other low or no calorie flavored drink. Product is slightly sweet and can be taken with just water for those really watching calories. This product is formulated very similar to EAS’s Myoplex-Lite without the added artificial flavorings, sweeteners, vitamins and minerals at just a fraction of the cost.